In this article, we'll cover the process of getting the X theme downloaded from your ThemeForest account and installed on your WordPress website before we get started, you should make sure you already have a WordPress based website you wish to install the theme on. Go to ThemeForest and login to your ThemeForest account. All files and Documentation. This option will download a .zip file which will include the theme, all extensions, documentation, and the licensing information. Installable WordPress files only. 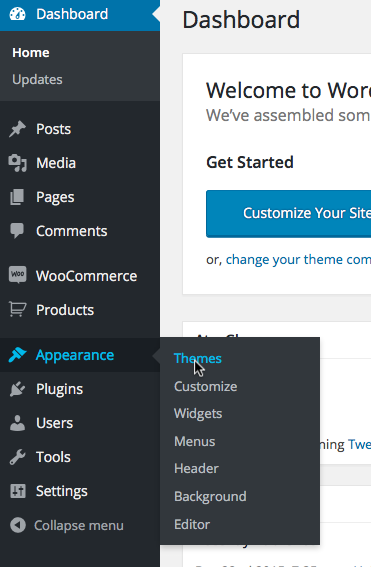 This option will just download the theme in a .zip format to your WordPress site. For the purpose of this article, we'll be just going to use the installable WordPress files only option. Go ahead and click on that option to start the download. 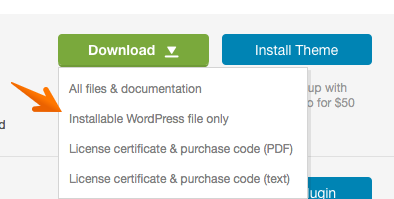 Once the download is completed navigate over to your WordPress dashboard (wp-admin). You may notice on the welcome screen that there's an additional message saying Cornerstone was automatically installed. You can read more about Cornerstone in the Knowledgebase and see the introduction to Cornerstone article here. Pro theme doesn't need the Cornerstone plugin and it has its own Pro Editor. How do I know which parent theme is the main one? Wordpress upload fail due to "no tags"
URGENT - Cornerstone Dropped and don't know to Reinstall it! PRO X not being installed?